The Battle of France is the name of the World War II battle between the Allied Powers and Germany in and around France. The battle took place from May 10th to June 25th in 1940 after the end of the period of waiting (Phoney War) following the German invasion of Poland in 1939. The Battle of France is remembered today as one of the most important battles of World War II in Europe and one of the early defining moments of the war. Germany unleashed its blitzkrieg tactics during the Battle of France to great success. This tactic saw German forces move at an incredible pace and overwhelm the Allied forces wherever they met. The battle began when German forces invaded France through the Ardennes Forest near southern Belgium. France had spent the years after World War I preparing a line of defences along its border that it shared with Germany. This defensive line was called the Maginot Line and ran from the Switzerland Alps in the south to the Ardennes Forest; however it did not extend north to the British Channel. France believed that the Ardennes Forest was too thick for Germany tanks and forces to move through and did not extend the Maginot Line any further north. As well, they believed that any German attack would come directly across the border to France and that the heavily defended Maginot Line would be enough to withstand the attack. This false sense of security by France would have a profound impact on the outcome of the battle. The German attack through the Ardennes Forest (codenamed Case Yellow) caught Belgium, Britain and France by surprised. The German forces were able to easily push their way through the Ardennes Forest and moved as a surprisingly fast pace. By pushing through the region Germany planned on dividing the Allied forces and circling around the Allied soldiers in order to trap them and cut them off from Allied support. The French forces that defended against the German attack at Ardennes were poorly equipped and unable to stop the German advance. As such, the German tank divisions pushed through and forced the French and British forces in the north to retreat towards the British Channel. Famously, the British Expeditionary Force and some French forces were forced to group in Dunkirk and await an opportunity to evacuate to England. During the end of May and early June of 1949, 200,000 British forces and 140,000 French forces were transported across the English Channel to avoid the full German attack. This retreat at Dunkirk would come to be an important event in World War II, as many of these same Allied forces would play an important role in later battles of World War II, including the Invasion of Normandy. 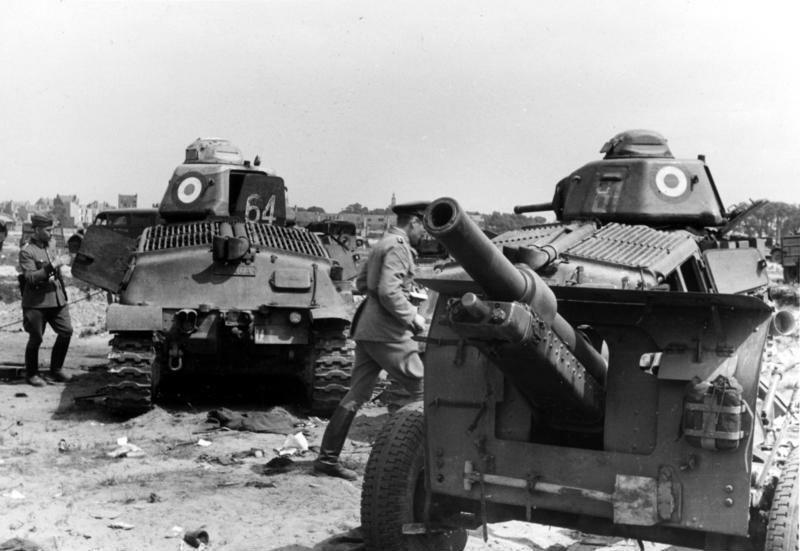 After the Allied retreat at Dunkirk, the remainder of France was left to undergo the full German blitzkrieg attack. Italy joined the fighting on June 10th when it entered the war on the side of Germany and by June 14th, Paris was under the control of Germany troops. The Battle of France was over and Britain stood alone as the last Allied country in Europe to stand against the aggression of Germany. 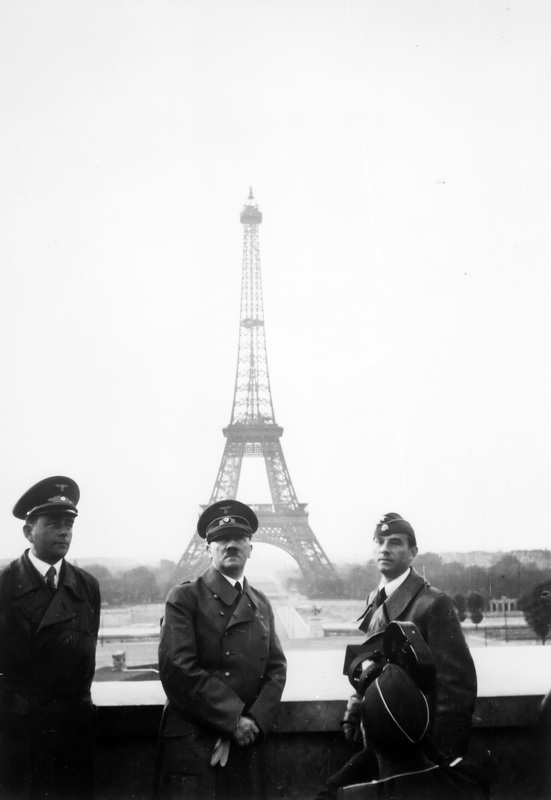 At the end of the Battle of France, Nazi Germany took over direct control of the northern half of France and created a puppet-state in the south called Vichy France. Germany would use the northern parts of France to help carry out its bombing runs during the Battle of Britain. In total, the Allies suffered over 360,000 casualties in the battle while the Axis suffered 163,000.